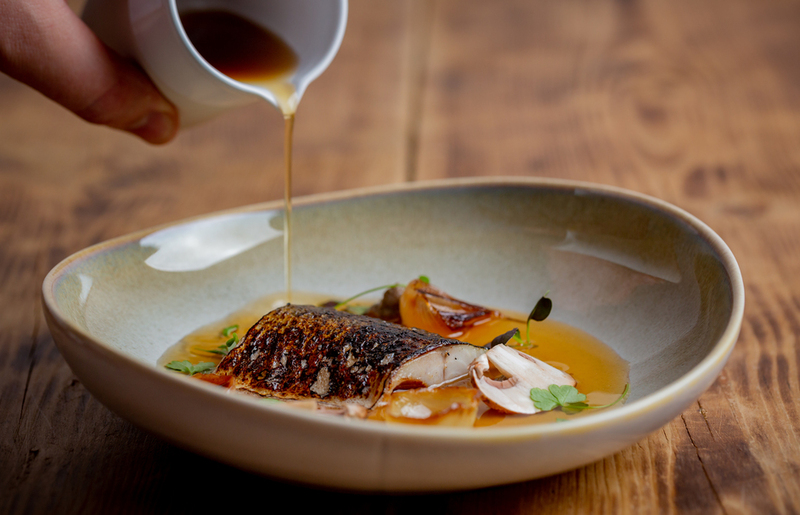 Located in a shipping container at Pop Brixton, Roe is the first solo restaurant from Simon Whiteside, the Irish chef and co-founder of renowned seafood restaurant, Hook in Camden. Sustainable seafood is centre stage once again at this Brixton restaurant where fish come from the British and Irish coast using small, independent suppliers. Drawing on Simon's Irish heritage, the menu includes smaller dishes like ink and Guinness soda bread with seaweed butter, accompanied by either mackerel pate, whipped smoked cod's roe or house smoked salmon with horseradish. Bigger options at the small restaurant - which seats 32 guests - are ray wing with Jerusalem artichoke, sea trout with sea greens, and spiced ling with fermented lentils plus a daily whole fish special. Enjoy sea salt and brown butter blondies with pistachio clotted cream for pudding while seated at one of two communal tables for eight, made from reclaimed wood. Roe at Pop Brixton gyms, sporting activities, health & beauty and fitness. The best pubs near London Roe at Pop Brixton. Roe at Pop Brixton clubs, bars, cabaret nights, casinos and interesting nightlife. Where to have your meeting, conference, exhibition, private dining or training course near Roe at Pop Brixton. From cheap budget accommodation to luxury 5 star suites see our discounts for Roe at Pop Brixton hotels, including Park Plaza London Riverbank from 89% off.